To avert the worst socioenvironmental impacts stemming from climate change-inducing emissions, we need to transition to a different energy system. This transition requires more than simply adopting renewable energy production technologies. We need to break the crony-capitalist structures in which imperialist energy oligopolies are embedded. 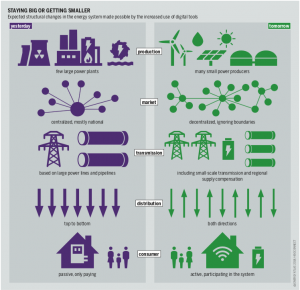 A just transition rigorously reorganises the way we produce, transport and consume energy: in other words, to democratise our energy infrastructure. To further explore the main challenges and opportunities for energy democracy in view of the upcoming European elections, the FYEG Sustainable Europe working group organised an online discussion with the following expert speakers: Mathilde Tessier, Phd Candidate at Mines Paris, Joan Groizard Payeras, Director renewable energy at IDEA, and Roland Tual, Project Officer at Rescoop. This article is based on this dialogue. To democratise our energy infrastructures and mitigate climate change is our goal. We envisage energy to be managed as a public and common good through cooperative models that operate on the Rochdale cooperative principles. This ensures citizens are actively involved in the energy system as prosumers instead of passively dependent consumers. Not only do locally-owned projects generate eight times more profit to the local economy than equivalents owned by transnational developers, but cooperatives democratically govern this wealth, which is owned collectively by its members. This idea is not new, the 2012 Ecosprinter article The energy crisis is complex? already described ‘localizing energy production as close as possible to the consumers’ as a key feature of the needed energy transition. Currently, thousands of diverse energy cooperative projects exist across Europe. The EU energy cooperative federation Rescoop represents 1.250 European energy cooperatives and their 1.000.000 citizens. Cooperatives are not just small projects, Co-op Energy in the United Kingdom, for example, services 400.000 customers and there are numerous other energy cooperatives across Europe with over 50.000 customers. Energy cooperatives are not limited to co-owned energy production facilities, such as windmills or solar panels, but can also ensure the supply or other services surrounding energy provision. In addition, Cooperatives can be instrumental in distributing energy efficiently because they decentralize demand and supply. They can minimize the problem associated with the flux in energy supply and demand by adopting smart storage and aggregation techniques. They are also logical organizations to be involved in the development of energy efficiency programmes and sector integration programmes. Communities have aggregate purchasing power for more efficient and electrically commensurable transport and heating options. They can foster and maintain the expertise required to maintain and operate such systems. For an idea of what this seismic change can mean for the entire energy sector, consider image 1. In short energy cooperatives and the communities they entail generate substantial social, economic and environmental multiplier effects. Figure 1 Elements of the Energy Transition. Source: 2018 Energy Atlas, page 33. In tandem with this increasing public awareness and the growth of cooperatively-owned energy infrastructure, the EU Commission is introducing the concept of ‘citizen energy communities’ within its energy strategy, the Energy Union. In fact, The European Commission estimates that by 2030, more than 50 GW of wind and more than 50 GW of solar could be owned by energy communities, representing 17% and 21% of installed capacity. We should build on this momentum and push for both higher targets and a more central role for citizen energy communities in the EU’s climate and energy strategies for 2020, 2030 and 2050. The European Union targets foresee emissions reductions of 20% and 40% by 2020 and 2030, as compared to 1990. Its 2050 energy roadmap even submits a 80-95% reduction as aspirational prognosis for 2050. To achieve these targets the EU is developing the so-called Energy Union. As part of the Energy Union, the Commission and Parliament have set binding targets of 20% and 32% for the share of renewable energies in the final European energy consumption. Despite figures demonstrating that costs for renewables continue to drop, most EU Member States have stubbornly focused on maintaining these targets, which are below business as usual. The target for 2030 should be increased to at least 50 %, if not more. More detrimental to our common future than this lack of vision and political will is the continued financing for fossil fuel technologies under the Energy Union. 11 European countries and the EU provided at least €112 billion in subsidies per year between 2014 and 2016 towards the production and consumption of fossil fuels. €4 billion of these subsidies came directly from the EU itself. In addition, geopolitical struggles over the location of pipelines for natural gas destabilise the EU’s relations with its neighbourhood and a mass silent killer continues to be sold to the public with the contradiction in terms that is so-called ‘clean coal.’ This madness has to stop. The Energy Union cannot continue these damaging policies that show division and lock-in future fossil fuel usage and its associated socioenvironmental impacts. However, it is not all bad news. The Commission has recently issued an electricity market directive (November 2018) that explicitly recognises ‘citizen energy communities’ as legal entities that can generate their own energy without penalisation. This stress on the notion of energy communities as a citizen body is a real breakthrough and guarantees the autonomy of such organisations. We should capitalise on this and ensure that the concept of citizen energy communities is fully enshrined and represented in EU law and that the EU facilitates the creation of more of these citizen communities with know-how and funds. Best of all is that we actually have the power to make real and tangible changes to this, by voting in the upcoming European elections. We are not alone! The Greens have become mainstream. 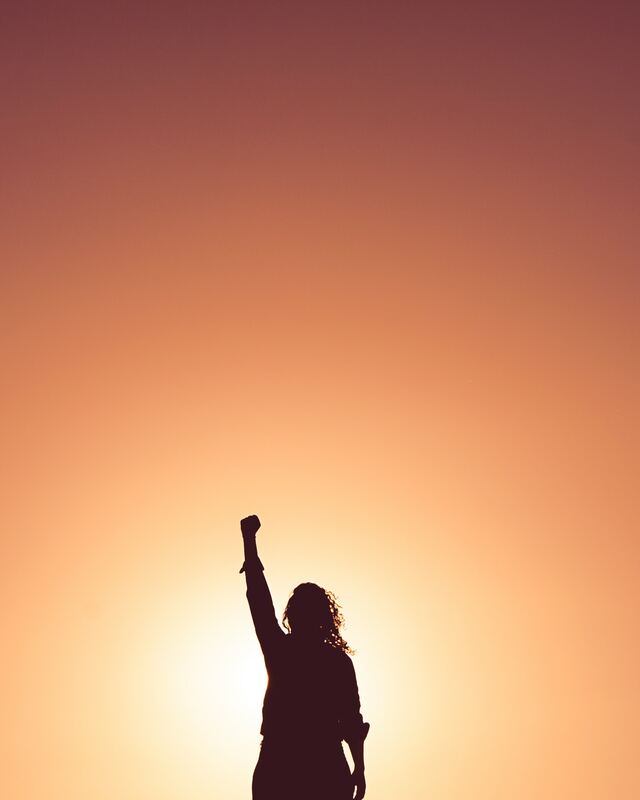 Where once you were a rebel, hippie or peacenik for being pro-renewables, you are now part of the overwhelming majority of Europeans in favour of the energy transition and renewable energies. That’s right! Almost 90% of Europeans believe it is important for their national government to set targets to increase renewable energy use by 2030 and provide support for improving energy efficiency by 2030. The vast majority (79%) also agree that more public financial support should be given to the transition to clean energies, even if this means reducing fossil fuel subsidies. And we don’t even have to convince people of the obvious benefits, as almost eight in ten EU citizens (79%) – and a substantial majority in all Member States – believe that fighting climate change and using energy more efficiently can boost the economy and create jobs. And you know what these statistics mean, energy democracy is an electrifying topic in all our democracies and can win elections. 90% approval ratings are the stuff politician’s wet dreams are made of, so it should not be too difficult to convince them to run on a platform that supports energy democracy. To avert the darkest of futures we need bright vision, let’s energise the elections and democratise our energy! Erik Post obtained a Master in International Affairs at the Graduate Institute for International and Development studies of Geneva in September 2018. His research interests include sustainable development, imperialism, armed conflict, natural resource exploitation and socioenvironmental struggles. He has been involved in green politics for over a decade and is a member of the Club of Rome, the Environmental Peacebuilding Association, and the FYEG working Group ‘Sustainable Europe.’ He has worked for the Dutch Ministry of Foreign Affairs and for International Crisis Group. 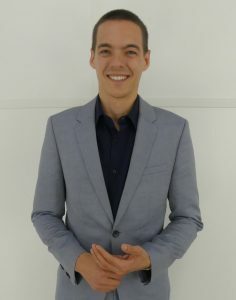 In March 2019, Erik will start as Blue Book Trainee at the European Commission. Tagged democracy, Energy, Energy crisis, energy transition, Participatory democracy. Bookmark the permalink.